The internet is a key to the retail expansion and to provide a different operating model to retailers in various domains. E-Commerce is on the rise not only for the fashion industry but also for other untapped domains. The growing working population and the expanding middle-class base is giving rise to online shoppers and they are the key demand drivers for any e-commerce industry. This trend is catching up in the automotive parts retailing and aftermarket space. 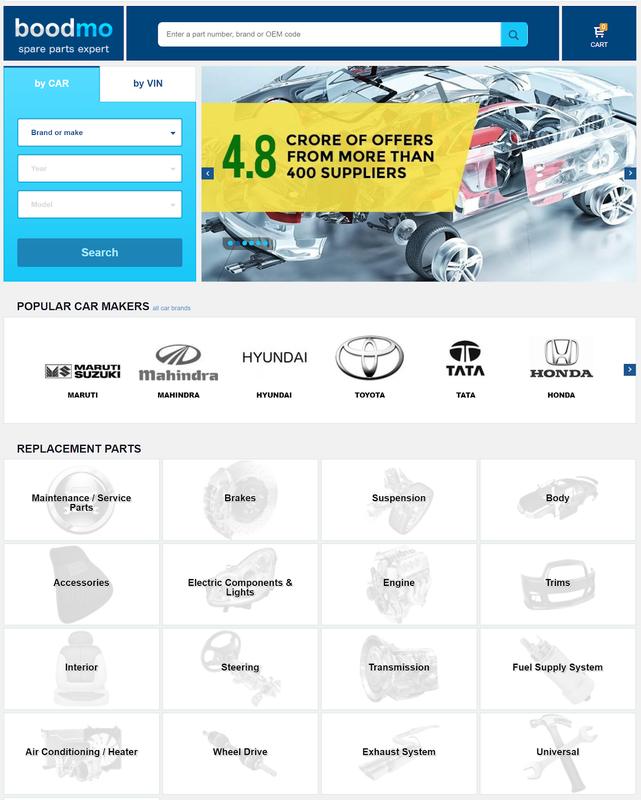 There are e-commerce platforms specialized in automotive spares and are expanding their consumer base by listing auto components online. 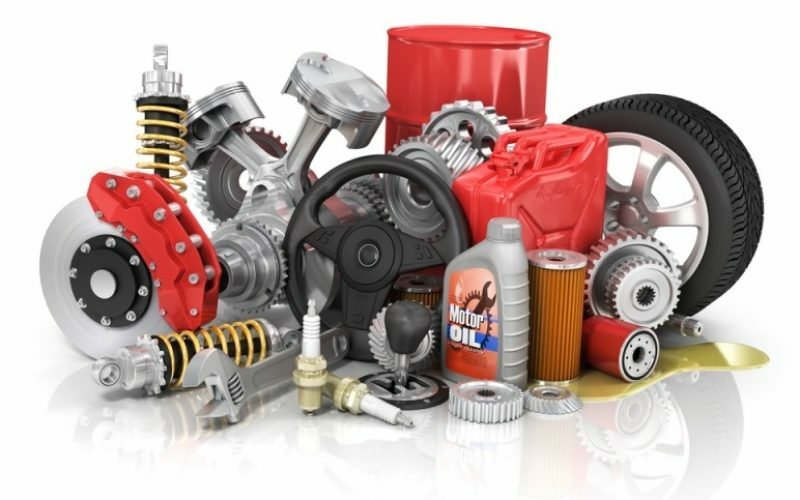 A wide range of auto components are available online providing convenience, cheaper price, easy availability and quick delivery. Boodmo.com is a leading online platform in the automotive industry that has revolutionized the online space in the automotive market. Launched in August last year by Smart Parts Online Pvt. Ltd., it is a one-stop solution for car spare requirements in India. Its extensive catalog of over 27 million items of automotive spares provides components that are required for leading passenger cars. The venture is carried out by Ukrainian entrepreneurs Mr. Yevgen Sokolnikov and Mr. Oleksandr Danylenko and their energetic technical and sales team. Boodmo offers a wide range of products to users mostly dealing in spares of leading passenger cars. Its exhaustive list of components offers a wide variety of products that are usually unavailable with offline vendors as well. The catalog consists of a compiled list and details of over 27 million items of automotive parts. Also, this project eliminates the need of users to hop from one shop to another to look for a specified spare part. Like every e-commerce website, one gets the ease of shopping on the on the go. Apart from the ease of ordering a part, Boodomo helps users to be informed about the part they are about to purchase, its date of arrival, price or brand. Boodomo caters to all range of customers as one can find firsthand spares from genuine brands or purchase second-hand good quality parts for customers who wish to go easy on the pocket. The interactive user interface is developed considering simplicity at its core which helps a customer to find their desired products easily. The option goes for over 3000 brands, making sure a customer should get what he is been in search of. Boodomo provides an open price policy, a secure gateway for product purchase and a flexibility to track the product right to its arrival. Automotive spare parts online is not a matured industry and is thus not organized. This makes it difficult to build customers as most people do not belong to early birds category. Yet, Boodmo provides utmost customer satisfaction providing benefits of an organized sector to an unorganized one. With the digital India movement, Boodmo is a small step in that direction. Boodmo is a company for the Indian market that provides all national and international brands, promises growth and revenue for the nation and boasts of selling products at 100% guarantee.